The University of Wisconsin volleyball team fell to the Iowa Hawkeyes 2–3 in Iowa City for their fourth away match in a row. 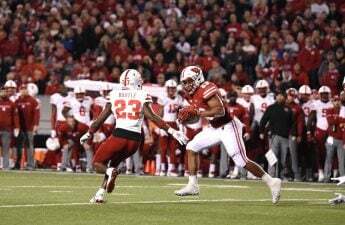 After a crushing defeat against the Minnesota Gophers last week, the Badgers looked as if they had worked out their mistakes by defeating ranked Big Ten opponents Purdue and Illinois in their subsequent games. 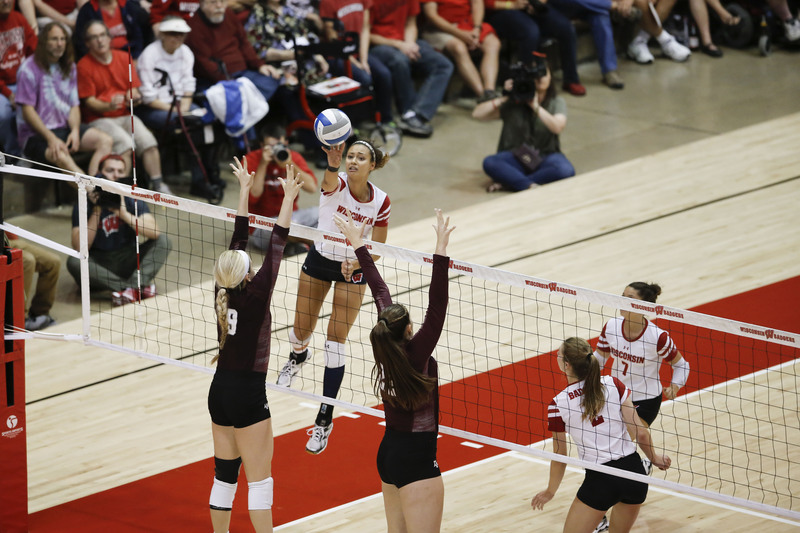 Prior to this weekend, the Badgers had dropped a total of just three sets to unranked teams all season and it seemed like the match versus an unranked Iowa team could be the great end to a long road stand for Kelly Sheffield’s Badgers. Wisconsin got off to a quick start in the first set, led by sophomore Dana Rettke. Rettke led the Badgers on a 6-0 run recording an ace, a kill and contested three hitting errors from Iowa. But the Hawkeyes rallied back on a 4-0 run of their own. The amazing power surge from the Hawkeyes came from junior outside hitter Cali Hoye. Hoye recorded a personal best of 30 kills and would continue to be a nightmare at the net for Wisconsin as the match continued. Despite the power from Hoye, the Badgers took the first set 25–22. The second match stayed close and competitive for both team until Iowa took off on a 5-0 lead. Sparked with a Hoye kill, this run also included two ace serves from Iowa’s Molly Kelly. Wisconsin played the rest of the set behind until a last-ditch effort led by Madison Duello and Grace Loberg pulled the Badgers within two. But it wasn’t enough and the 25–22 Hawkeye set evened the match at one apiece. With veteran player Molly Haggerty looking to swing the momentum back to the Badgers, she led Wisconsin on a 5-0 run midway through the third set. Wisconsin dominated the third set until Hoye and the Hawkeyes serving staff stepped in late to go on a 9–1 run tying the set at 22 all. Within this run, Hoye had two big kills and the Badgers gave up two more ace serves. Iowa finished with three straight points and another kill from Hoye to edge out the third set again at 25–22. Wisconsin, with their backs against the wall, were in danger of dropping their first match to an unranked opponent. Enter Grace Loberg. Loberg, coming off a slight injury limiting her in the past couple matches on the road, led the Badgers to a 10–5 start to the fourth set. She recorded three kills and a service ace within the opening run. Wisconsin would go on to control most of the fourth set. Loberg received some help from Rettke in the front row and from her back row, slowing down Hoye. 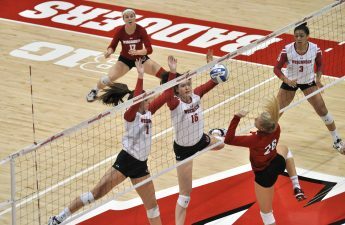 Wisconsin would force set five with a 25–19 fourth set win. A fifth set match, the first for the Badgers this season, is a winner take all set to 15. 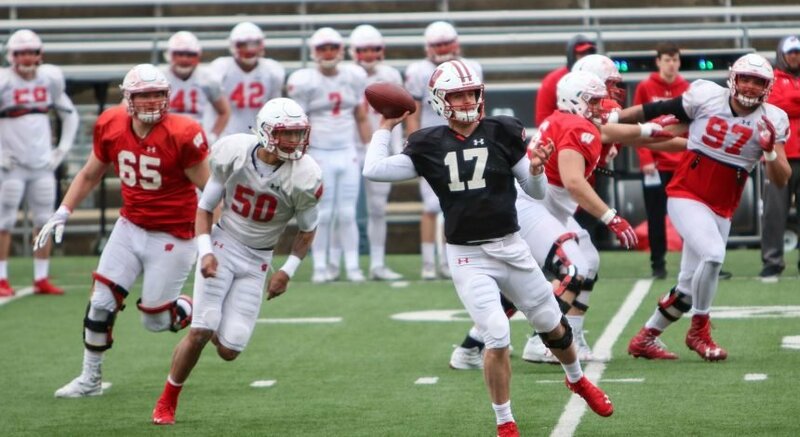 With Wisconsin knowing they had to act quickly, the Hawkeyes beat them to it. Iowa started out set five on an 8-2 lead on the back of Hoye. The Badgers, as their last defense, scraped together a 6–0 run late in the set, but it was not enough to stop Hoye and the Hawkeyes early jump. Wisconsin dropped the set and the match in a 15–12 final. Leading the Badgers into the extended set was Loberg with 17 kills, Sydney Hilley with 57 assists, Rettke with eight blocks and Tiffany Clark with 23 digs. Although the Badgers led in all major team stat categories besides digs, they couldn’t stop a record night from Hoye and had to take a tough loss in Iowa City. 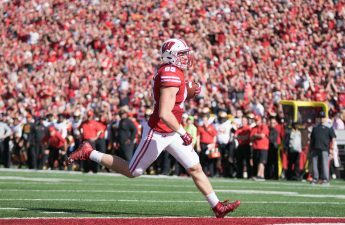 The Badgers head back home to face the Northwestern Wildcats at the UW Fieldhouse Friday.